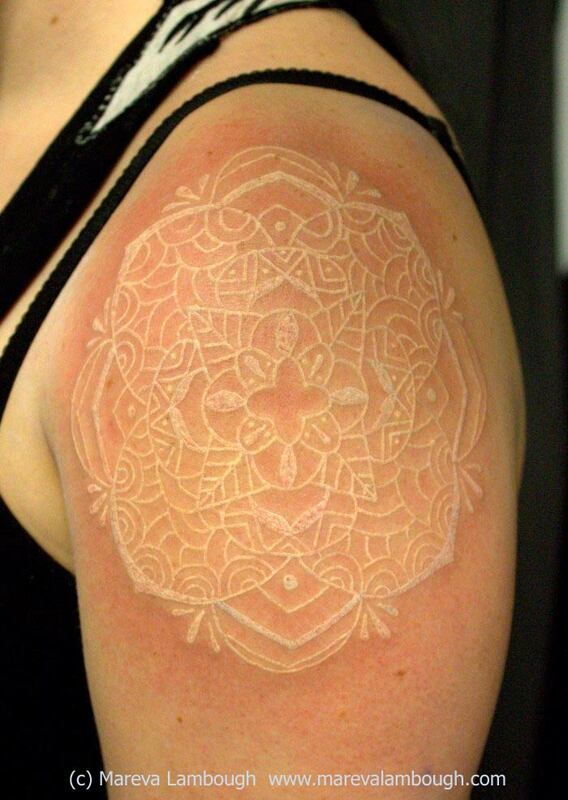 Savannah, Georgia tattoo artist, Mareva Lambough, inked this beautiful white mandala. I love the delicate lacy look of it along with the symmetry and asymmetry components in it. I also appreciate that once the soreness goes away, the mandala will be even less visible, making it look like it’s coming up through the skin instead of applied onto it.